Last year we took a look at A Modern Eden’s pretty pastel animal iPhone app. Now you can add these superb, stylised animals to the nursery wall. 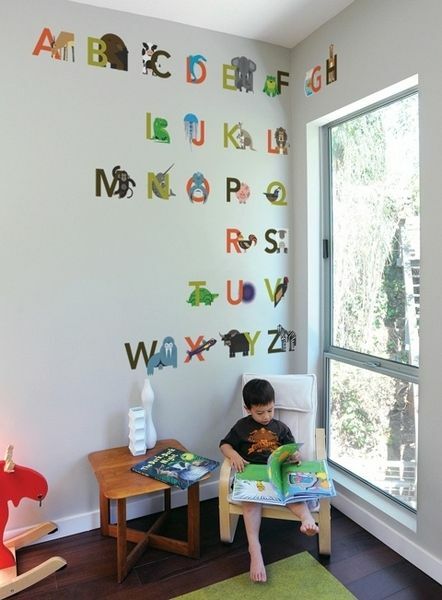 A Modern Eden have teamed up with Blik to create a range of wall decals that are picture perfect. 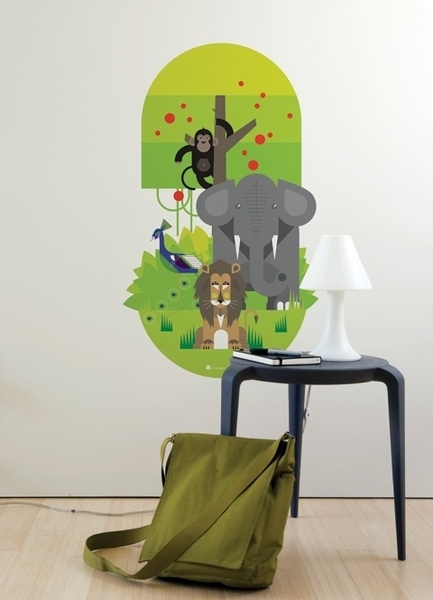 Go the whole hog with the animal alphabet or create a feature space with the King of the Jungle or Polar Composition decal. The cool blues, sharp lines and black accents in the Polar Composition design are my pick, particularly as they’re suitable for a nursery or an older child’s room. 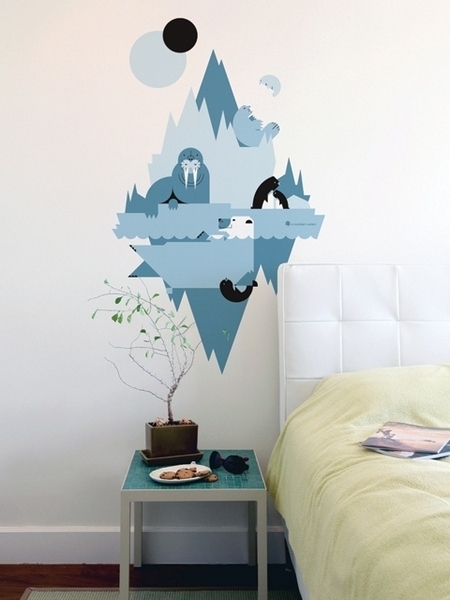 Blik decals are removable and reusable so you can take your lions and polar bears with you if you move house. Choose from the Animal Alphabet, the Polar Composition and King of the Jungle designs. Update – There is now an Australian retailer for A Modern Eden! Go to Decal 8 to order. Check out our previous posts on A Modern Eden and Blik.